A well-rested body definitely makes a person more productive and even looks good. 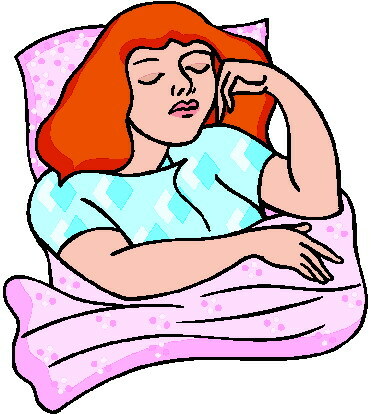 Sleeping gives our body the time to repair and detoxify, thus it brings back the strength that we lost during the day. How much sleep do we really need to regain our strength? The amount of sleep that people need varies. If the sleep you have makes you feel good and do well, then you have enough. But for adults, five to six hours of sleep is more than enough. Comfort of sleeping. Besides a well-ventilated room, one needs comfortable clothes like cheap lingerie or shirts and shorts to have a sound sleep. Remember that a good night’s sleep refreshes the body. Lack of it makes you cranky or irritable. This entry was posted in Beauty and well-being and tagged beauty rest, importance of sleep, rest, sleep, sleeping habit on November 21, 2011 by Yami. When thinking of going on holiday in Asia, the last thing that may occur to you is a driving retreat. However, this can be a great way to explore nations and get away from the major tourist attractions that are often packed with so many people that you find it difficult to actually enjoy yourself. Utilising vehicle tours and even using hire cars and heading out on your own can be a great way to immerse yourself in local culture and discover places that you never would have normally seen. And whilst a self-driving tour will require quite a bit of pre planning, it can be extremely worth the effort. If you’re not brave enough to head out alone, then Asia has a huge number of ready prepared tours and guides that you can utilise to your advantage. In Thailand the Siam Safari is a popular trip and you can explore the inner jungle of Phuket by vehicle, elephant ride and periods of short hiking. Meanwhile, in Malaysia’s Koto Bharu there are some fantastic jungle tours, allowing you to visit Orang Asli village where you can meet local tribesmen and women, try using a blowpipe and learn about medicinal plants. Whilst heading on a guided tour can be a fantastic way of discovering more about a place, self-guided driving tours are the ultimate excitement for total cultural immersion. Driving on your own really provides a sense of adventure and, unlike a guided tour, you won’t be rushed from place to place and can journey at your own pace. One great driving tour is in Kuala Lumpur and sees you enjoy a roundtrip taking in Batu Caves, Cameron Highlands, Penang, Koto Bharu and more. Taking seven days your adventure will start at the Batu Caves Hindu Temple just outside of Kuala Lumpur. Another ideal stop on the first day is the Butterfly Farm in the Cameron Highlands. Day 2 will see you travel to Penang where the colonial architecture of Kellies Castle can be enjoyed, before day 3 allows you explore Georgetown and its sights such as Kapitan Keling Masjid and the Goddess of Mercy Temple. Day 4 offers the chance to drive through the Malaysian mountains as you head towards Koto Bharu for day 5 and start to drive homewards back to Kuala Lumpur on day 6 and 7. Another fantastic self-drive journey is in Thailand and offers the ability to drive the four days between Phuket and Samui Island. Over the four-day period you’ll be able to take in rubber plantations, James Bond Island, the stunning National Park of Tharn Bookorani and the ancient Wat Phra Maha. Finally arriving at your destination you’ll then be able to enjoy the luxury of Samui Island and the beautiful beaches and scenery it provides. An Asian driving holiday can be the ideal way of exploring far beyond the reaches of normal tourists and backpackers, allowing you to get a unique perspective of the countries and places on your tours. And by utilising car hire companies to your advantage you’ll be able to enjoy a journey like no other. This entry was posted in Outdoor activity and tagged asia, asian tour, driving tour, tour, travel on November 15, 2011 by Yami. Sure, popular beauty brands like The Body Shop can get you a long way with him but he sure will get to see your natural beauty sooner or later. Caring for your skin is one of the best ways to look beautiful naturally. After all, you wouldn’t want him to be disappointed when he catches a glimpse of you in the morning without make up. Orange food: Don’t be happy this doesn’t include the cheese flavored snack or the nacho chips for that matter. Orange foods include apricot, squash, carrots, sweet potatoes and mangoes. The orange food is rich in antioxidants and carotenoids which protects the skin from the harmful UV rays and their adverse effects. These foods are also help in fighting the free radicals produced due to pollution, sun exposure and other day-to-day activities which speed-up the aging process. Bazilian describes the orange foods as skin first-line defense to the outside word. Leafy greens veggies: Dark green leafy vegetables like kale, collard greens and spinach are rich source of carotenoid lutein, an antioxidant. It helps in protecting your eyes in addition to protecting your body from the harmful UV rays. Lutein keeps the skin hydrated, improves elasticity and aids in the production of useful surface oils. It is a great idea to toss the leafy vegetables into salads. Two such great recipes are: sauté them in olive oil with garlic or add them to your favorite pasta recipe. Milk: Milk is a rich source of proteins, biotin and Vitamin A. Biotin is essential for formation of healthy skin; Vitamin A supports skin tissues and lean proteins aids tissue formation. Lack of Vitamin A makes the skin dull, flaky and dry. Water: Technically water is not food, but it is surely food for the skin and body. As per Bazilian and Spano, water is the most important nutrient to ensure normal functioning of the body. Water aids all skin aspects like: moisture, flexibility, elasticity and tone. Try to have at least 10 glasses of water daily along with vegetable juice, soups, green tea and fat-free milk. You will be amazed to know that Cleopatra who is known to epitomize beauty bathed in sour milk to add to the luster and brightness as sour milk is rich in AHAs, Alpha-Hydroxy Acids which are known for treating dry skin, acne, fine lines and wrinkles. So, be the Cleopatra by simply including these essential 4 food items in your daily diet. Brenda Lyttle is a freelance writer and a work-at-home mom. She commands an authority in writing on parenting healthy living,costume wigs, cheap halloween costumes, and other related topics. This entry was posted in Beauty and well-being and tagged beauty tips, food and skin, food for beautiful skin on November 2, 2011 by Yami.